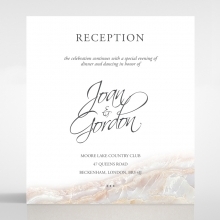 This invitation has two sides, giving a trendy, two-dimensional feel. The front page features you and your partner's name in a classic font followed by the specifics of the evening you have planned. 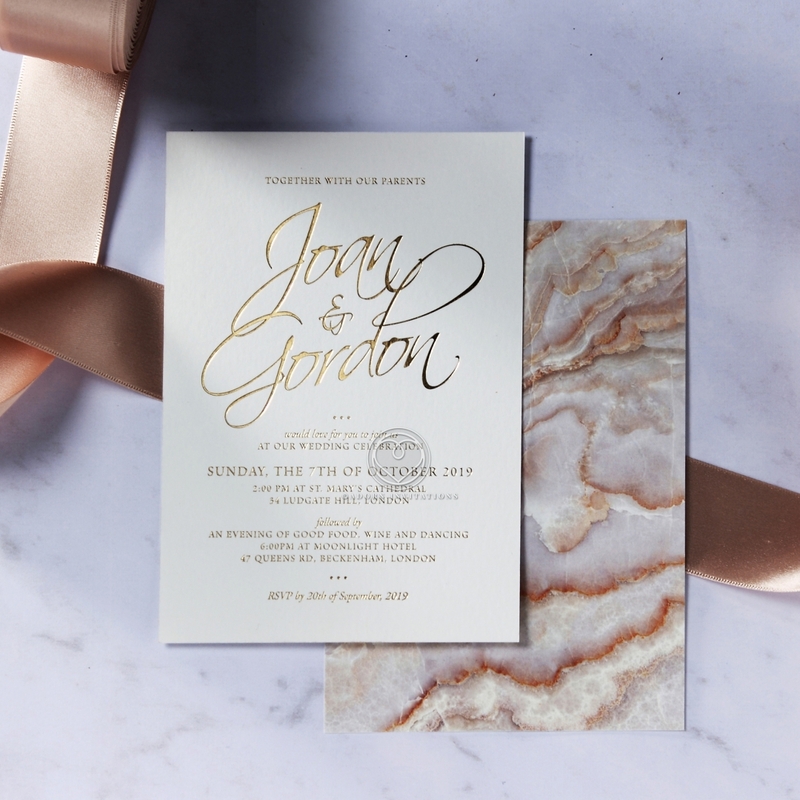 When they turn it over, the gorgeous moonstone design is a unique feature. 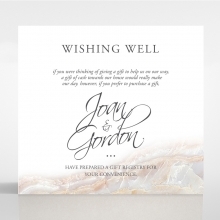 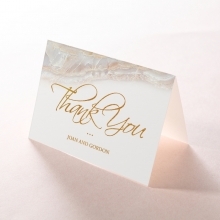 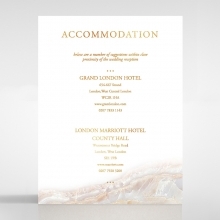 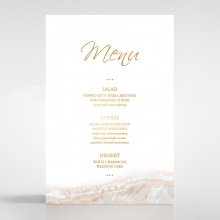 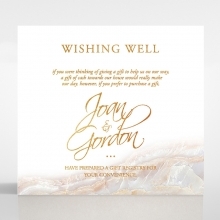 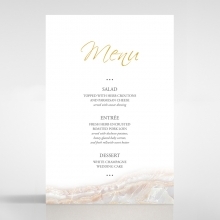 Hot foiled text has been stunningly printed onto the front of the page to really get the words to pop out at your guests! 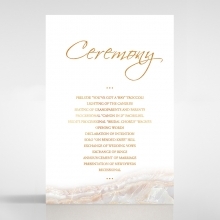 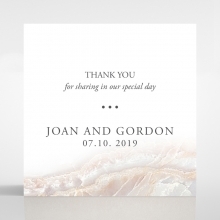 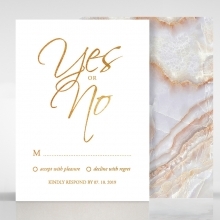 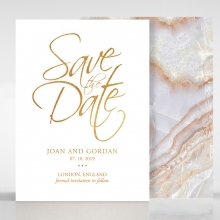 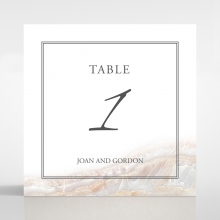 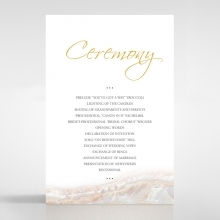 Choose between silver, bronze yellow and rose gold for the text to perfectly compliment your weddings decor and talk to our designers about the many fonts and styles you can choose to display your wedding information. 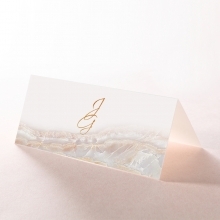 For an added personal touch - choose a paper band for this design and print a custom monogram.